Every once in a while you come across a government document or report that holds imperative and quite frankly frightening information. In the video below I dive through two documents that portray an overall agenda of what the elite have in mind for our country. If you thought the book Nineteen Eighty-Four by George Orwell was something else – even possibly off the wall when written – wait until you learn what’s planned for us by the year 2025! George Orwell, in retrospect, seems to have been able to tap into some sort of future-time-machine or a “worm hole” in physics – what’s known as an “Einstein-Rosen bridge,” because much of what he wrote about has come to realization. This recently-released 22 minute explanatory video by Lisa Haven that ought to mess with your mind, if not scare the be-jeepers out of you, when you learn what the controllers have planned for everyone’s brain! Lisa reads from government documents, which she parses to some extent, about brain microchip implants and psychotropic pharmaceutical drugs to control our thinking to comply with the controllers’ new world order, apparently being implemented under the auspices of the U.S. Department of Defense and other ‘allies’. The government has shown interest in mind-control, brain-chip technology for some time now, and quite frankly these types of inventions can have its dangerous uses. 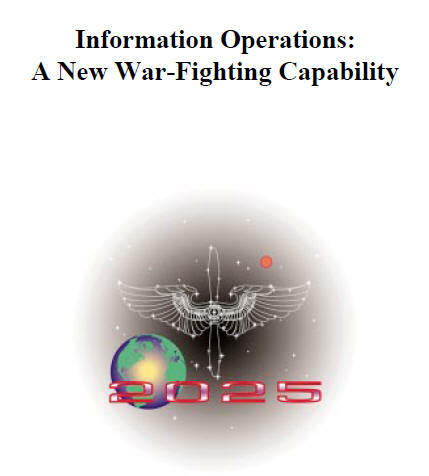 The two documents I covered in the video above prove that the Department of Defense has already drawn up plans to use such neural interfaces on not only the military, but also on the population. Their goal is to have it all in place by 2025. “The most successful implementation of invasive interfaces [a direct communication pathway, done via surgery, between the brain and an external device] has occurred in medical applications in which nerve signals are used as the mechanism for information transfer. Trouble is also likely headed our way with the discovery of a patent that has been put out with the technological capabilities to monitor and control human thoughts without the use of speech. This technology is highly controversial – to say the least – but it draws an awful slippery slope between human control and free will. “A system and method for enabling human beings to communicate by way of their monitored brain activity. The brain activity of an individual is monitored and transmitted to a remote location (e.g. by satellite). At the remote location, the monitored brain activity is compared with pre-recorded normalized brain activity curves, waveforms, or patterns to determine if a match or substantial match is found. This might just sound like a huge technological feat but it doesn’t end there. “It is another object of this invention to provide a system capable of identifying particular nodes in an individual’s brain, the firings of which affect characteristics such as appetite, hunger, thirst, communication skills (e.g. which nodes are utilized to communicate certain words such as ‘yes’, ‘no’, or phrases such as ‘I don’t know’, ‘I’m not sure’, or numbers such as ‘one’, ‘two’, ‘ten’, ‘one hundred’ and the like, thought processes, depression, and the like). When such nodes are identified, they may be specifically monitored by one or more sensors to analyze behavior or communication or words, phrases, or thoughts.